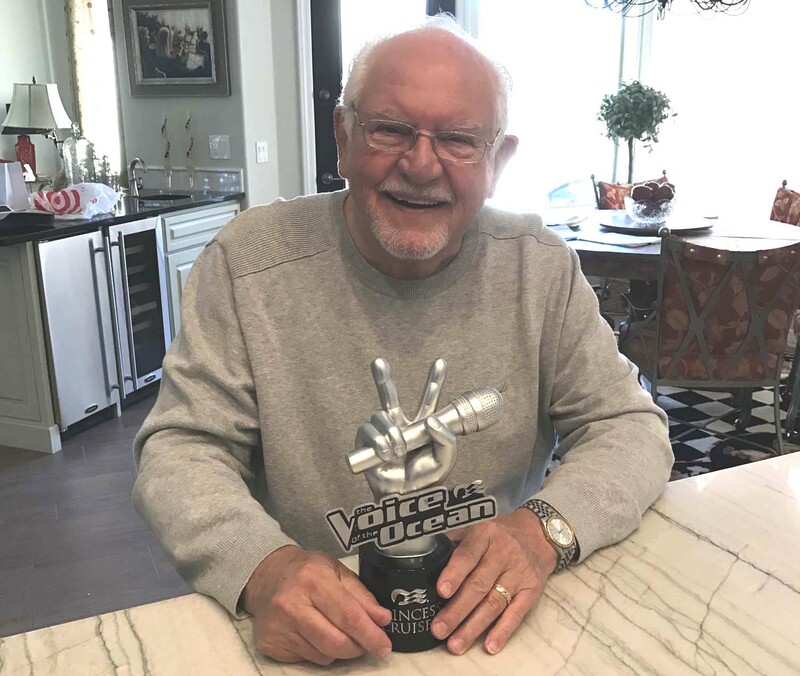 Eddie C. Smith, an 82 year old and long time North Scottsdale\Carefree resident recently won “The Voice of the Ocean” award during his cruise on Princess cruise lines. Princess and The Voice (TV program) jointly sponsor a talent contest aboard their vessels. All guests are invited to try out, then 8 are selected to perform before the entire 3000 guests aboard the ship utilizing a “Voice” format. They have the 3 chairs that revolve, the contestants sing, the judges choose their team members and the audience then selects the winner. Eddie, who lives in Terravita, won during his family’s Panama Canal cruise and carried home this trophy. He won singing “All of Me.” His team captain was the well known singer/entertainer Bobby Burke Wilson (son of Jackie Wilson a well known blues singer). Wilson recently entertained at the Sun Dome in Sun City and has other concerts scheduled in the area. 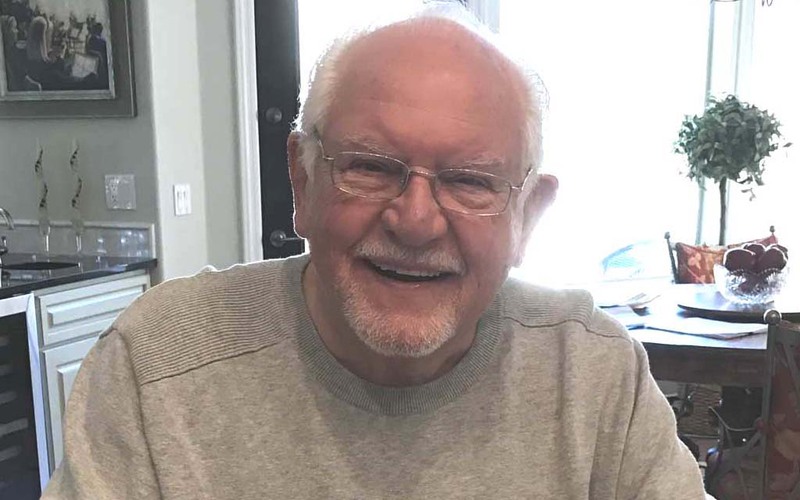 As an 82-year old, Eddie Smith was by far the oldest contestant – the youngest was 19.